Our medical mission from February 1st to 8th of this year was funded by the Lao Rehabilitation Foundation and donations to the foundation. An operating microscope was donated by the Boston University Department of Otolaryngology-Head & Neck Surgery, and surgical supplies were donated by Winchester Hospital. Luc Janssens PhD is the president of the Lao Rehabiliation Foundation and organized the mission in conjunction with Dr. Phetsamone Indara, Lao Ophthalmologist at Oudomxay Eye Unit. This was an ongoing yearly plastic surgery and ENT medical mission. This was my first time returning to Laos since I left when I was 3 years old. I was looking for ways to volunteer my skills in Laos. Organizing and executing a medical mission requires significant resources and extensive planning. I discovered online the Lao Rehabilitation Foundation, which organizes yearly medical missions. I contacted Dr. Luc Janssens who was looking for a ENT/Facial Plastic surgeon to volunteer for future missions. I had the skill set he needed and my ability to speak Lao was a great match. I was proud to be able to donate and use the operating microscope provided by the Boston University Department of Otolaryngology-Head & Neck Surgery. It took months of work to get the microscope donated, refurbished, and transported to Laos. It is probably 1 of 3 operating microscopes for ENT surgery in the entire country. We had a large number of patients needing possible thyroid surgery, but did not have the ability to perform thyroid function labs for thyroid patients. We were targeting to perform thyroidectomy but the Oudomxay Provincial Hospital lacked the ability to perform those studies. As a result, I did not feel it was safe to perform thyroidectomy on any of those patients. 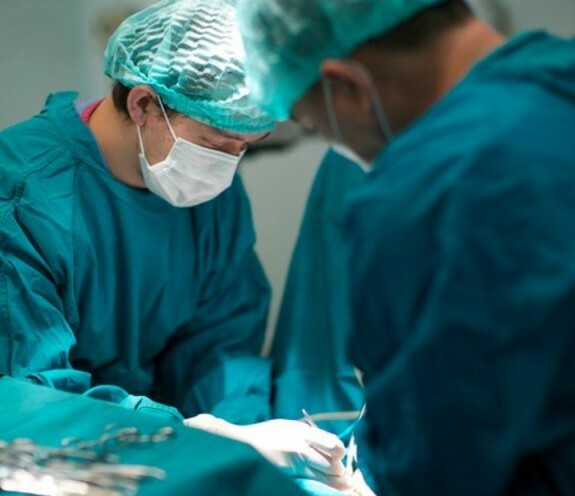 We are developing solutions to have those patients preoperatively worked up with thyroid function labs and treating them with medications if necessary to make them euthyroid (normal thyroid function) prior to performing thyroid surgery. We also had cancellation of an American anesthesiologist for the mission. It actually was fortunate as I had the ability to work with two Lao anesthesiologists who I feel comfortable working with now and we can mobilize them on future missions. Missions of this nature can sometimes be canceled when key US medical personnel are unable to make the mission or cancel. It definitely is important to involve as many Lao doctors on these missions as the eventual goal it to make these projects self-sustainable using resources of the host country. I had the fortunate ability to work with a Lao thyroid surgeon from Vientiane and we are planning to collaborate together to perform thyroid surgery safely in Laos. Our initial goals were to survey the medical needs of Laos with plans to do more on future missions. There is a huge gap in surgical training compared to the United States. Overall, our goals were met as we were able to provide cleft lip, cleft palate, reconstructive, head and neck, ENT surgery on this mission. We are planning yearly medical missions to Laos and working on expanding on the previous year’s work and involving more Lao doctors. Laos in general can certainly use the help of ex-patriots who have expertise in health management and public health. Palina Louangketh, a Laotian healthcare management consultant in the U.S. was helpful in editing and revising the Lao Rehabilitation Foundation’s proposals, objectives, and goals for these missions. Any individuals with medical and surgical training would be helpful and donations to the Lao Rehabilitation Foundation will go directly to helping the Lao people. I was in Laos from January 31st to February 12th. After our medical mission, Melanie and I traveled to Luang Prabang for rest and relaxation. We got engaged there on February 9th, 2011. I saw my extended family for the first time since I left Laos at the age of 3. I also visited with my sister who returned to Laos about 10 years ago from the US. Traveling throughout Laos and spending time in Luang Prabang was amazing. Luang Prabang is a beautiful city and Laos in general is a beautiful country to visit. I plan on making yearly medical mission trips with the Lao Rehabilitation Foundation. There is still much work to be done. I wish that I could have done more. Hopefully, my first medical mission with the Lao Rehabilitation Foundation will be a stepping off point.